YouTube is no longer just a website to share and watch videos on, it's an industry full of fame, celebrities, careers and awards. It has made rich people out of the girls and guys next door. Who says you can't be one of them! If you have a video on YouTube, then you are most likely moving up the search engines. You have the opportunity to promote your blog on your YouTube channel to drive home more traffic, which ultimately helps with SEO. Also, YouTube video performs much better on search engines than videos from other platforms and blog post. While YouTube is an awesome platform to spread your message and promote your blog, your effort on the platform can become very profitable. Some people have earned several million dollars from their videos on YouTube. YouTube has made several regular folks like you and me celebrities. With YouTube, fame and wealth are just around the corner. One thing you may have noticed with video content is it encourages personal connection. YouTube can let you create a much more personal connection with regular folks like you and let them get to know you and see how you react or act in some situations. There is something about viewing a video where you can feel like you are right there with somebody working on solving a problem. It is a different kind of feeling and it creates an intimate connection. YouTube gives us an awesome creative outlet. It lets you do something creative and different that just pictures. You now have the opportunity to get in front of the camera and show what you can do. It allows you to film and edit what you like doing- you can experiment with different things that you can hardly pull off in a blog post. 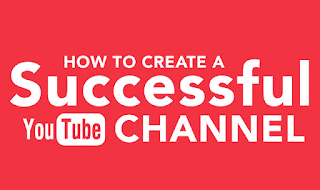 If you are in the habit of watching other people’s video very often, then now is the time to create your own YouTube channel. This is the time to go from being a passenger on YouTube to being a pilot. 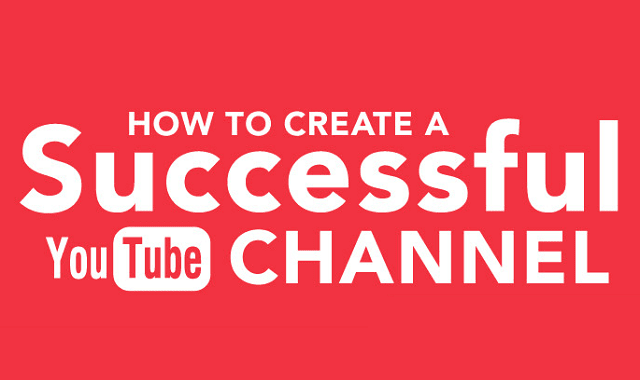 YouTube affords you the opportunity to upload your videos and potentially get visibility on a large scale. The revenue and viewership may start small, but if you stick with your channel and vigorously promote it, it may eventually become one of the most watched channels, attracting thousand of viewers and a good stream of income. Take a look at this infographic-guide, created by WeAreTop10, on how to turn your dreams into reality. • Who will watch my videos? • What type of content will I create? • When have people done this before in the past? • Why do I start? Am I passionate about this topic? • Where do I want this adventure to lead me? • How will I keep making my content better with time? You need a catchy name that holds a strong brand and identity, something unique that people will remember and be insatiably attracted to. To grow a sustainable fan-base, you need to be active on multiple social media platforms. In other words, make sure you username of choice is available on all of them. If you really want to create a lifestyle of glitz and glam, you'll need a professional website with a registered domain name. All of the biggest YouTube stars do it, and so should you. You don't want ugly trolls claiming your unique name, do you? If you're still filming with your Mom's home video camera from the 80s, then you need to make a new plan ASAP. No one enjoys watching videos on 360p forever. Stay Keyword Focused: Try and create content that is relevant and up-to-date; something that people will highly likely be searching for. Interesting Titles: What would you rather click on? "My Grandma's Weekend" ... or... "Fearless Granny Jumps Out Of A Plane." ... Exactly. Collaboration: This is a great way to build a large following, especially if you collaborate with someone who has a lot more subscribers than you. It builds a fun and healthy environment that more people can relate to. Monetize: Did you know that you can get paid anywhere from $0.10 to $6 per 1000 YouTube views? The YouTube partner program is very popular, and if your channel starts to gain serious momentum, so can your bank account. Other ways to bring home the bacon include brand sponsorships merchandise deals, clothing sales, fan funding, product reviews and more. We all want to succeed, but some succeed more than others because they adhere to a few simple guidelines. Plan Your Content: Decide on a style and stick to it. No one will subscribe to a channel that changes more than Donald Trump tie. Post regularly: If you go weeks without uploading anything, the chances of you losing subscribers are very high. Fans appreciate loyalty and dedication, so make sure you set aside a day of the week for uploading videos, and let your viewers know about it. Buy YouTube Views, Likes and Subscribers: We provide Real YouTube Likes, Views and YouTube Subscribers!